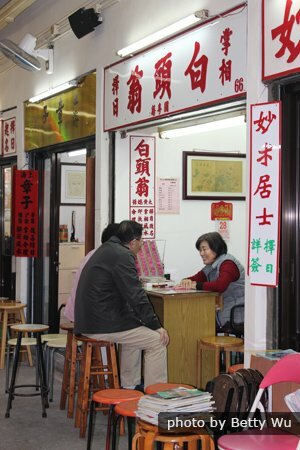 Chinese fortune telling has many types, each of which have similarities and differences to fortune telling in the West. This is an introduction to Chinese fortune telling, should you wish to have your fortune told in China, either because you&apos;re looking for some guidance in life, or for the entertainment. Many fortune tellers purely use ancient methods, supposedly containing ancient wisdom (though none of their predictions have been scientifically validated). Others compliment their methods with deductions based on your reactions, appearance, etc. for sometimes startling accuracy. In any case, prices are usually lower than in the West. One of the benefits of fortune telling for some is its entertainment value, like the thrill of live magic, or experiencing a real-life Sherlock Holmes try to read a person (you) at first sight. If the soothsayer is good you may well hear a few home truths (that are deducible by a perceptive person). A visit to a fortune teller might be as valuable as a visit to a psychologist or doctor or religious advisor! Telling your fortune using your facial features, or miànxiàng, uses specific facial features associated with areas of your personality. We&apos;ve listed some of the most common associations, which are the same as in the West, where this method is called physiognomy. Your ears show your longevity. Your hairline shows how you socialize. Your eyes reveal your intelligence. Your cheeks show your confidence levels. Your nose is associated with your financial situation and your power. Your lips indicate your sensuality. Your eyebrows indicate your temper and passion. 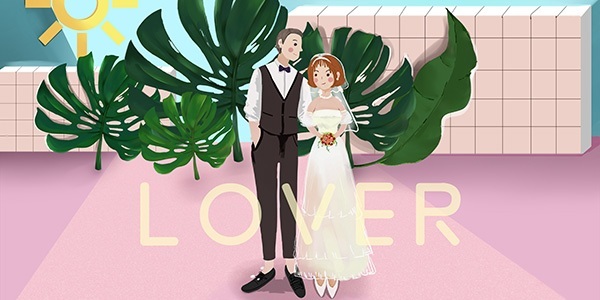 Shǒuxiàng, or using the palm of one&apos;s hand to predict one&apos;s destiny, analyzes the positioning of palm lines for love, personality, and other traits of your future. 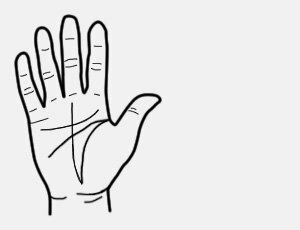 Chinese palmistry closely resembles Western palmistry in technique, using the seven major lines found on palms to gather the most important information about one&apos;s future. Another method is known as Bāzì, which uses your natal data to tell your future. This method is based on the four pillars of destiny (birth year, birth month, birth date and birth hour), and the relationship between the five elements (wood, fire, earth, metal and water). In a nutshell, Bāzì uses your natal data and matches it to a matrix of metaphysical knowledge. 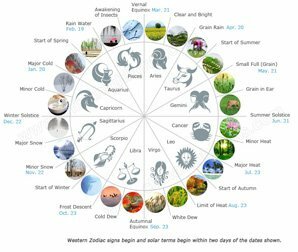 Compared to Western astrology, which is based on the planets and stars, Bāzì is more calendar-based, though it still refers to the solar system. See more on The Differences Between Chinese and Western Astrology. 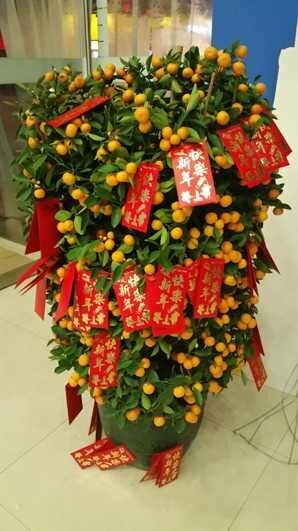 This final popular way to have your fortune told is one that you&apos;re likely to come across at Taoist temples. Qiúqiān employs a bundle of sticks with different Chinese characters inscribed on them (32, 60, or 100 sticks). You shake the cylinder until a stick drops out with a Chinese character inscribed in it. This character and its meanings is then used to predict your future. This method most resembles drawing lots, a lottery/raffle, or tarot cards ... or fortune cookies, etc. This method particularly will require you to bring someone who speaks Chinese, as the explanations and predictions are longwinded and rooted in traditional Chinese. You can find fortune tellers at temples throughout China. Sometimes they are located inside the temple, but they are also known to hang around outside temples, for example outside of Jing&apos;an Temple in Shanghai. 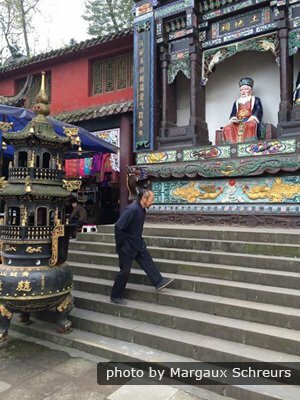 At the Taoist temple on top of Chengdu&apos;s Qingcheng Mountain, you can have your fortune told in China using the qiúqiān method. 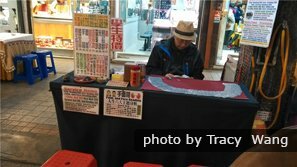 Other places to find fortune tellers are big night markets (for example Raohe Night Market in Taipei) and temple fairs ahead of the new year. For example, see these temple fairs that happen in Beijing every year. As with anyone providing a service like this, you should always be careful that you don&apos;t get scammed into paying too much. Our tour guides will be able to help with this. And, since there is no official accreditation or purely scientific base for fortune telling, make sure you&apos;re not taking their predictions too seriously or making rash life decisions based on them. 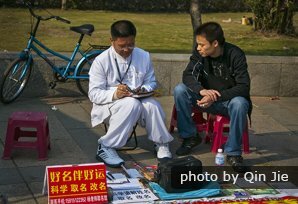 Expect to pay upwards of 100 yuan for a reading, depending on how much of an expert you&apos;re getting your reading from. Prices will be cheaper if you&apos;re doing it at a market, but more expensive at a temple. Also they vary with the local cost of living. See Price Bands for China&apos;s Cities. Don&apos;t forget to haggle (see this guide for information on shopping in China and how to haggle). Don&apos;t be scared if someone comes up to you and takes your hand at a temple. These are the fortune tellers that use palms to read your fortune. Of course you never have to accept their service if you&apos;re not comfortable with it. Want to Have Your Fortune Told While You&apos;re in China? Getting your fortune told in China can make for a great experience and is probably a lot cheaper than having your fortune told at home, depending on where you&apos;re from. Make sure you let us know when you are booking your tour, and we can arrange for you to meet with a fortune teller with our guide for translation. 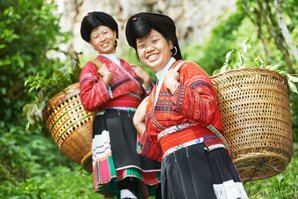 Click here to learn more about planning your first trip to China, or to see some of our most booked China tours. 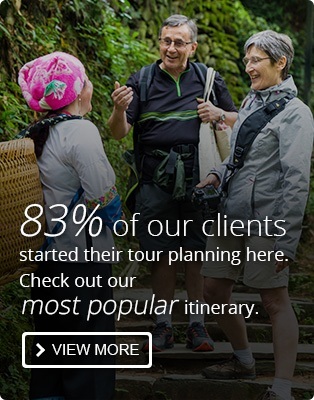 Alternatively, if you already know where you want to go, you can go ahead and create your own trip here.